Us girls/ladies are a wonderful and complicated bunch (to say the very least) and the friendships between us can be some of the most rewarding, emotionally safe, and cherished connections we ever experience. Throughout my life, I know that my (close) friendships with women have been far more intense and subject to periodic tension than have my friendships with men. Yet, for a few exceptions (my husband being one of them), most of my closest friends have been female. My longtime student Clea DeCrane is doing her part to fill the void! She and her best friend and collaborator, Molly-Margaret Johnson, have co-written the short film, Can’t/Won’t, which explores the trials and tribulations of a pair of best girlfriends who, without intention, have developed an unhealthy dependence on one another. The movie is about how they try to save their friendship, without sacrificing their personal sanity. (Ahem, girls – you know we have all been there!) Johnson will direct and Clea will co-star with Actress Annapurna Sriram (Showtime’s Billions). I can’t wait to see this film, and support Clea! To bring their project to the screen, Clea and Molly-Margaret have begun a funds-raising campaign on Kickstarter, which gives a peek into their vision and their spirit. They have passed the halfway point and need that push to reach their goal. Please check out their Kickstarter page, https://www.kickstarter.com/projects/604623503/cant-wont-short-film page and help them get their movie made. Every little bit counts! Clea DeCrane is easily one of the most talented actresses I have ever had the privilege of working with in my classes. Her work is consistently honest, intelligent, brave and poignant. Her career is one to ABSOLUTELY follow. She’s going to do great things and this is just the beginning. When you read her bio below, you will understand why I am so insanely proud of her and how seriously she has taken her craft. I’m thrilled about the learning and performing opportunities she’s exploring and so completely deserves. Acting came later. Through high school she took studio classes with me, and then flew east to pursue a BFA degree in acting at Mason Gross School of the Arts at Rutgers University. At Rutgers, she studied with Kevin Kittle, Barbara Marchant, and Deborah Hedwall. Through college, she traveled to Paris and studied with French dramaturge Simon Chemama, and to London to study with Tim Carroll at Shakespeare's Globe Theatre. Last May, after graduation, she moved to New York City to pursue a career in theatre and has since performed in EST’s Metrocards, in Lynn Nottage’s Las Meninas with The New Brooklyn theatre, and in The Flea Theater's 'but i cd only whisper.’ She is now currently understudying the role of Nina in the Off-Broadway play Stupid F**cking Bird at The Pearl Theater. Grab your daughters, granddaughters, nieces and little sisters! Last summer I traveled to beautiful Cape Town, South Africa to work on “American Girl – Lea to the Rescue”! The film is a really cute action-adventure for 2016 Girl-of-the-Year, Lea Clark. It’s a great movie for the whole family with a wonderful message of girl-empowerment, and I play the mom (shocker!) I got to work with a brilliant director (Nadia Tass), a wonderful cast (including Maggie Elizabeth Jones, Laysla de Oliviera, and Connor Dowds), and incredible production crew headed by Debra Martin Chase ("The Princess Diaries", "Sisterhood of the Traveling Pants") and Philip Whaley. It felt like old home-week for me because also behind the scenes was casting director, Robin Lippin, who cast me in Lizzie McGuire (!!! ), and a long-lost-but-not-forgotten childhood pal, Julie Ann Sipos was the executive producer! I saw a part of the world that I never thought I’d ever see and it was an unforgettable experience. Universal, Mattel and the American Girl brand have been keeping very quiet about the project but I’m now finally allowed to share. Lea Clark is courageous, fierce and selfless. She is a brilliant problem-solver and a loyal friend. 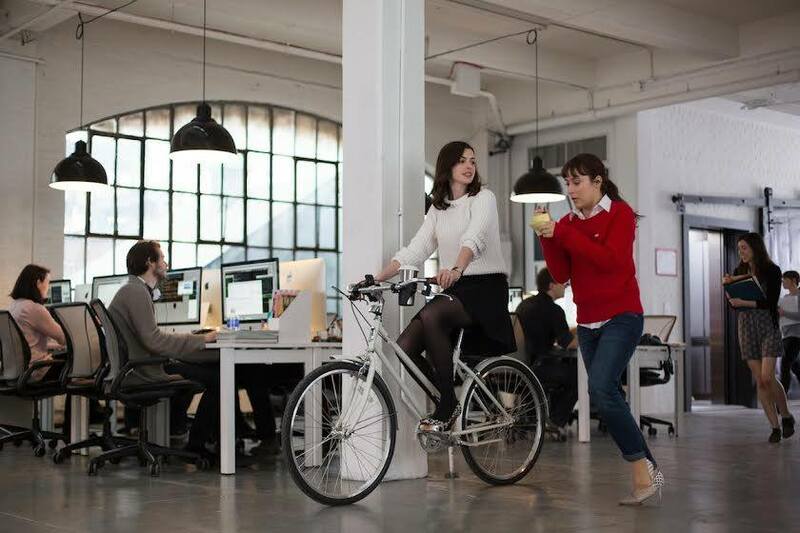 I’m thrilled to join the American Girl family and be a part of Lea’s story. For more info on the movie, check out the press release and watch the trailer. Stay tuned for updates! Something I hear a lot – “It’s my dream to be a professional actor! Do you think I have what it takes?” - I recently wrote a response to that query, which appears in the latest issue of LVLten Magazine. If you are serious about pursuing acting, LVLten is a very cool resource, put together with a lot of care and expertise. I’m proud to have been asked to contribute and I hope my insights are helpful. Head on over to http://www.lvltenmag.com/ to purchase your copy today! Also in this issue: Cameron Boyce (Disney’s Descendants), recording artist Christina Grimmie, K.C. Undercover’s Veronica Dunne, Bella and the Bulldogs’ Lilimar, Nickelodeon’s Olivia Stuck (Kirby Buckets), Gotham’s Clare Foley, Aramis Knight (AMC’s Into the Badlands), Gavin Casalegno (CW’s The Vampire Diaries), India Ennenga (About Scout), Disney’s Stuck in the Middle’s Ronni Hawk and Isaak Presley, Ben Papac (AMC’s Into the Badlands), and casting advice from Katie Taylor and CESD talent agent Mitchell Gossett, interviews by my friend Lauren M. Graham, and a few words of (hopefully) wisdom from yours truly! 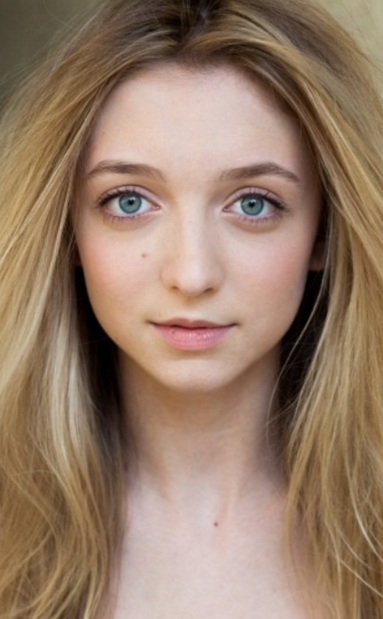 Congratulations to former student Hana Hayes on the success and continued rave reviews of FOX's "The Grinder". Way to go, Hana! Happy 15th Anniversary Lizzie McGuire! It can't be! How is this possible!?! I feel so honored to have been a part of Lizzie's world and a show that has brought so much joy to so many people. Happy 15th Anniversary Lizzie McGuire!! You can now follow me on Instagram. 13 year-old Camille Umoff as Velma Kelly in "Chicago" at Santa Barbara High School. Photo by Anthony Horvath. I want to be careful that I don’t sound jaded because I’m really not. However, I’ve spent my entire life in the world of show business; growing up in an “industry” family, acting professionally for over thirty years, and teaching and coaching for the last ten of those. So I think it’s fair to say, it is a rare and sublime experience to have my breath taken away by a performer whom I know personally. Especially when that performer is my thirteen year-old student. It’s not that I don’t know a lot of monstrously talented people. I know plenty - and my respect for their talent and expertise is beyond measure. But… there is that thing that (sometimes) happens with familiarity…when you know the person really, really well: their habits, tricks and idiosyncrasies, it’s very hard to be genuinely surprised by their work, let alone transported. I have worked with Camille Umoff as her acting coach for the last four years. When she first attended my class, she was eleven years old and although she was extremely focused, she was, at the time, very intimidated by the other, slightly older students whom she judged (mistakenly) as better than she. Camille was, as we say, too much “in her own head” and almost paralyzed with worry over not being great. Most of us can relate to that, I know I can. Around this same time, I also started to work with her privately in person or via Skype and had the pleasure of helping her prepare for the roles she played in her community/school plays and musicals. You know how it goes with youth theatre programs and Junior High and High School theatre - students play roles of all ages and this was no different. At eleven, she played Nancy in "Oliver", she was Mama Rose in "Gypsy" at twelve and, as a thirteen-year-old high school freshman, she played Velma Kelly in "Chicago". I saw her performances in all of the above productions. How is it possible for a kid so young to pull off roles of stature and sophistication with such ease and know-how? I honestly am not sure, but you have to trust me that this girl did. And she took my breath away. 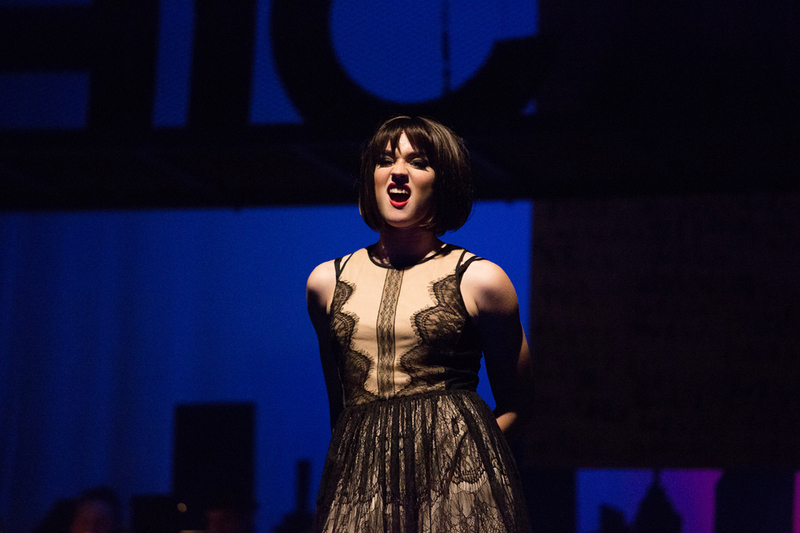 Here is a clip from the 2014 Santa Barbara High School production of “Chicago” with a then thirteen-year-old freshman Camille Umoff as Velma Kelly, performing “I Can’t Do It Alone”. If you are interested in private coaching sessions with Hallie Todd, visit our Private Coaching page. HOLIDAY DEAL ON PRIVATE COACHING SESSIONS! ~ Get ready for Pilot Season! ~ Prepare for those College Auditions! ~ or simply hone your skills! ~ Click here to visit our Coaching page for more information or to register! To say that I saw this coming would be a huge understatement. I am so excited (!!!) 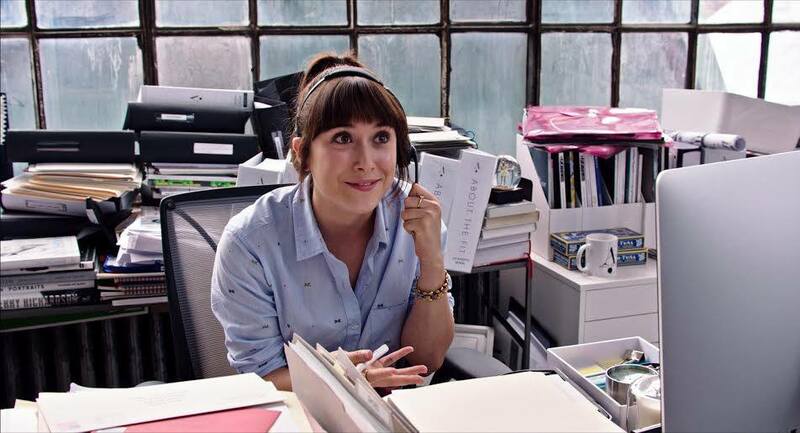 to share with you that my former student, Christina Scherer, is making her film debut opposite Anne Hathaway and Robert DeNiro in Nancy Meyers', The Intern, which opens today in theatres nationwide. Even as a young teenager she was a dedicated artist and a very special talent, so it is no shock to me that she is enjoying a true red carpet moment right now. This is very well deserved and will, no doubt, be the first of many! 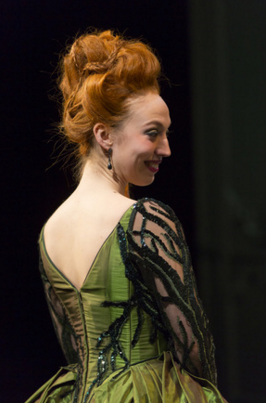 Alumna Christina Scherer to star alongside Robert De Niro and Anne Hathaway! Hallie Todd Studios alumna Christina Scherer has been cast in "The Intern"! The Warner Brothers comedy from writer/director Nancy Meyers (The Parent Trap, It's Complicated, Something's Gotta Give) will star Robert De Niro and Anne Hathaway. Christina will play Anne Hathaway's assistant, Becky Scott. Congratulations Christina! We are so proud of you!